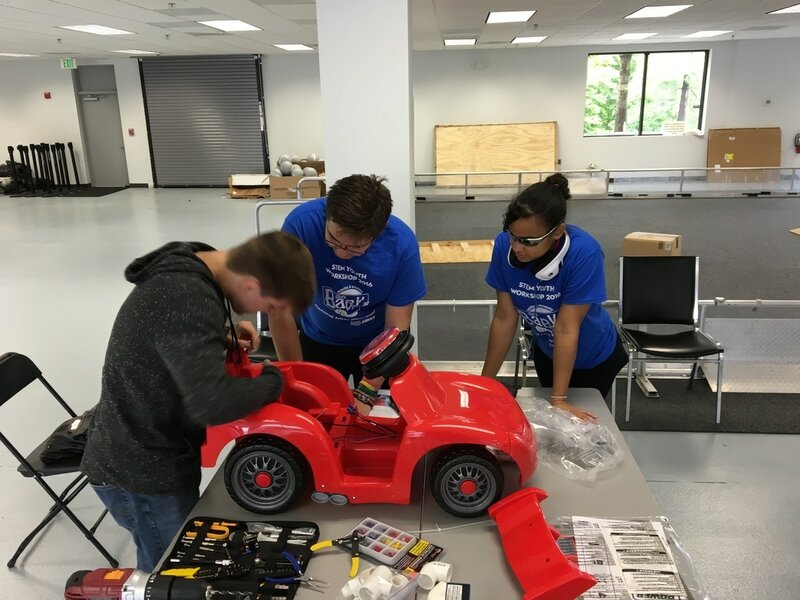 GMR's GoBabyGo Workshop, hosted by STEMaction, will bring together the best FIRST robotics teams from Maryland, DC and Virginia to retro-fit toy ride-on cars for kids ages 1-3 with significant mobility issues. 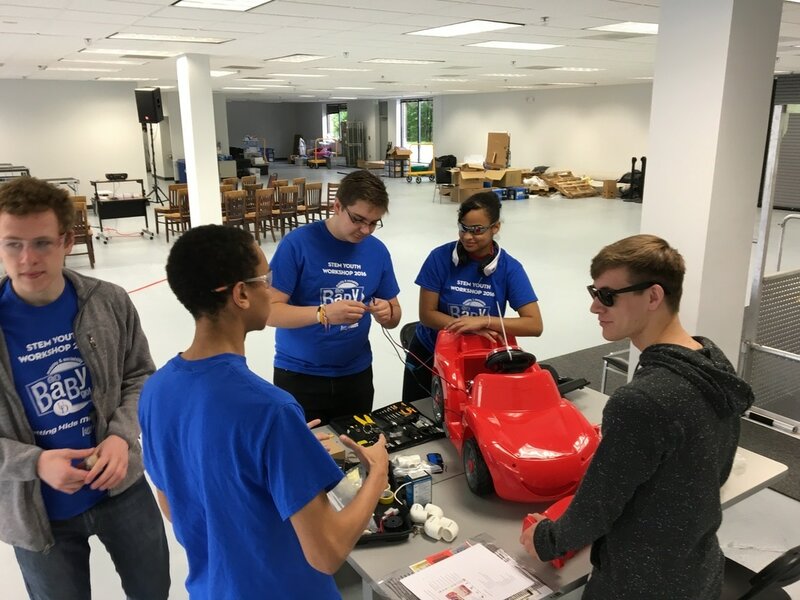 With some simple modifications, we'll build cars for kids who have trouble moving on their own due to a range of disabilities, including Spina Bifida, Downs Syndrome and Cerebral Palsy. The cars we build will allow these kids to experience the freedom of moving around on their own for the first time in their lives, not to mention the joy of having the coolest toy on the block. This workshop is possible thanks to The STEM Youth Community Service Day, an annual community service event hosted by STEMaction. 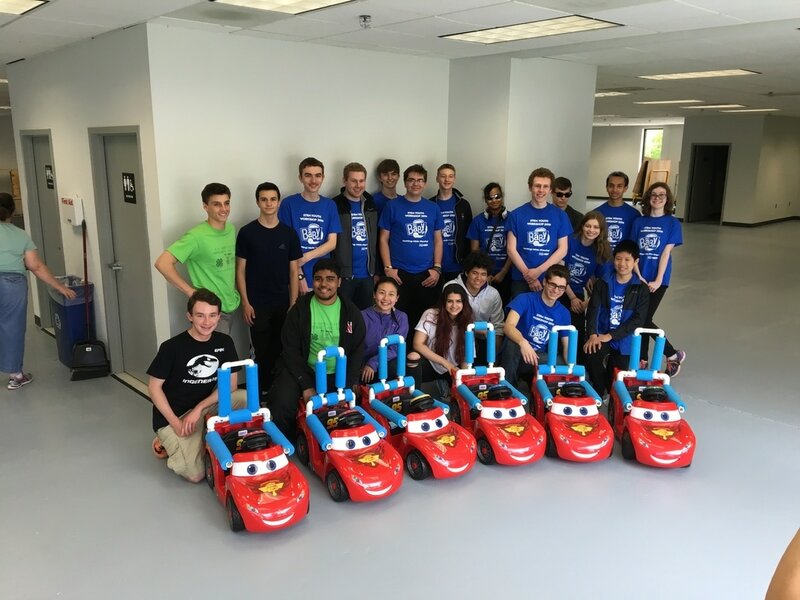 Started at the University of Delaware, GoBabyGo is a nationwide, community-based program that provides modified, ride-on cars to young children with disabilities so they can move around independently. These modified toy cars not only give kids with mobility disabilities a chance to play and socialize with their peers, but also provide critical therapeutic advantages. It's estimated that more than half a million American children under the age of five have mobility problems. Power wheelchairs can cost $30,000 and usually aren’t an option until children are older. GoBabyGo's modified cars provide these kids mobility and independence at a much younger age and at a relatively low cost -- only $200. The transformative power of these cars can't be overestimated. The absence of assistive devices early in a disabled child's life can cause delays and deficits that may take years to overcome -- if they can be overcome at all. GoBabyGo cars can help disabled kids achieve critical developmental and educational milestones. Make a cash donation - Patrons have generously offered to match donations up to $2000. So your donation of $100 -- matched dollar for dollar -- will cover the $200 cost of one car plus modification supplies. ​If you'd like to write a check, please make checks payable to "Horizons 4-H Club" and send to 2339 Daniels Road Ellicott City MD 21043. Make an in-kind donation - Donate one of the ride-on cars that we'll be modifying or one of the "big red buttons" used to make the cars accelerate. Come build with us! 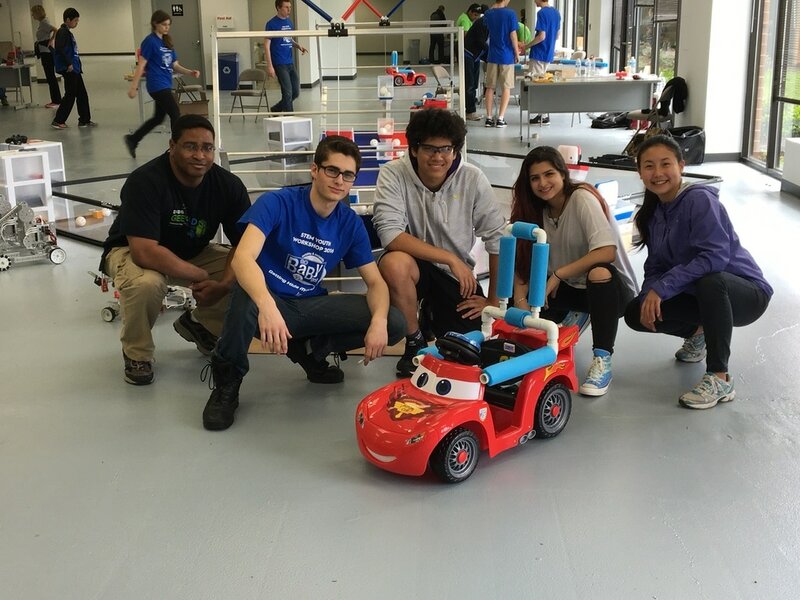 - Come on your own or bring your FTC or FRC robotics team and join us at the Go Baby Go Workshop to modify a ride-on car. Help us get the word out - Please post about our event on Facebook or by sharing this page via email. STEMaction is a Maryland non-profit that sponsors science, engineering, math, and technology activities for K-12 students. The STEM Youth Community Service Day is one of many outreach projects they have made possible for the STEM community.